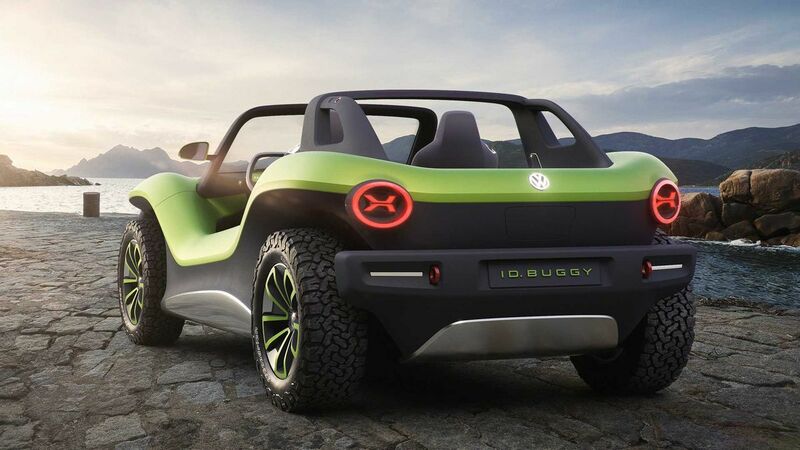 Volkswagen has officially revealed I.D Buggy Concept at the 2019 Geneva Motor Show. 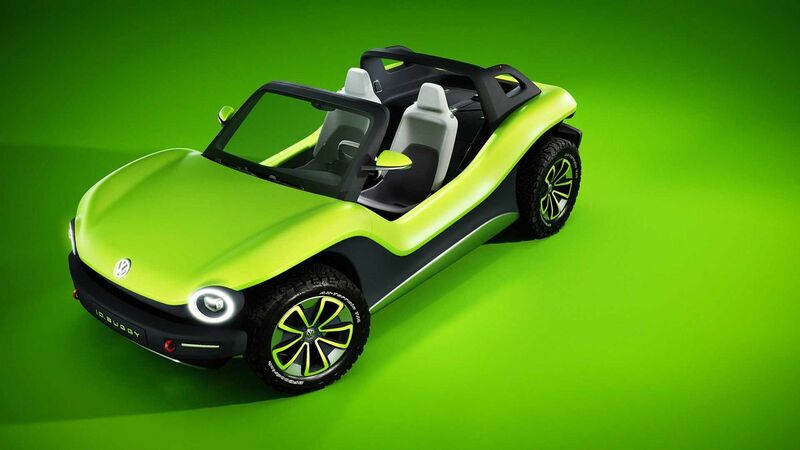 The I.D Buggy Concept is based on the Volkswagen I.D platform, which is dedicated to electric vehicles, and over the years the company has showcased various body styles based on this platform. 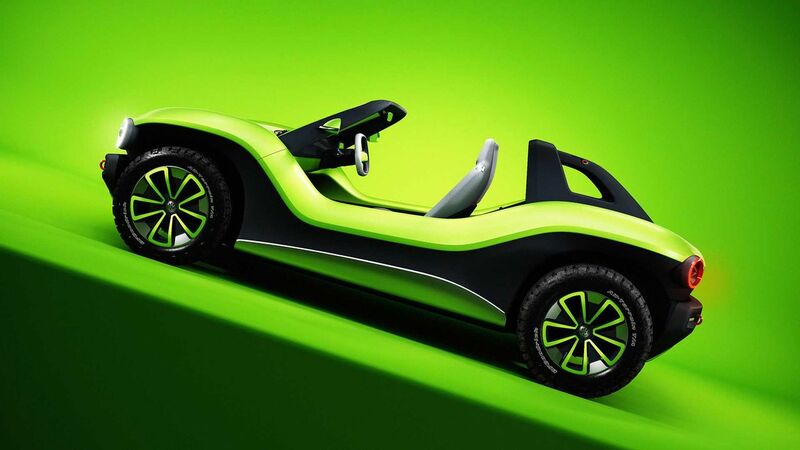 The design theme of I.D Buggy makes it stand out from other concept models. The company has given a rugged theme for the I.D buggy as the front gets two round headlamps with LEDs and the bumper is finished in black colour. The front bumper has two tow-hooks, finished in red colour. The design of the fender is unique and buggy rides on 18-inch alloy wheels finished in dual tone colours with BF Goodrich All-Terrain tyres. The tail lamps also get the same round theme and the company has also given two red tow-hooks at the rear bumper also. The exterior is finished in green colour and the interior design is simple. To spice up the black finished interior, the company has given some green accents on the steering wheel and dashboard. 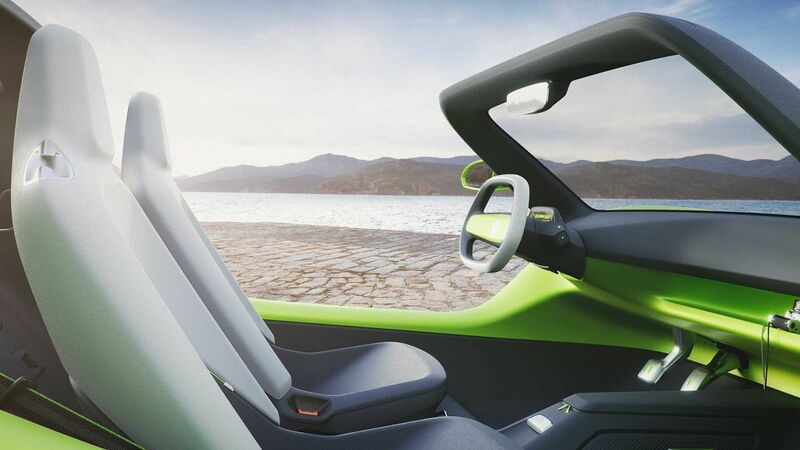 The materials used inside the cabin of I.D Buggy is waterproof as the concept model doesn’t have roof or doors like conventional cars as the only thing which protect the driver and passenger are reinforced front windscreen and rear Targa bar. The instrument cluster is completely digital and all the information about the car is displayed in it. Like most other concept models, this one doesn’t have fancy tech like a camera for rear view mirrors etc. 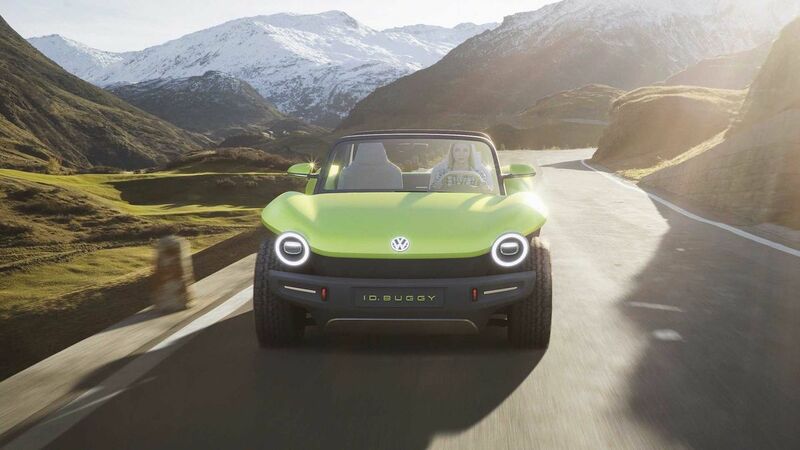 The I.D Buggy Concept is powered by a 62-kilowatt-hour-lithium-ion battery pack and the company has given one electric motor at the front and rear axles. The all-electric Buggy produces 201 hp of power and 349 Nm of torque. 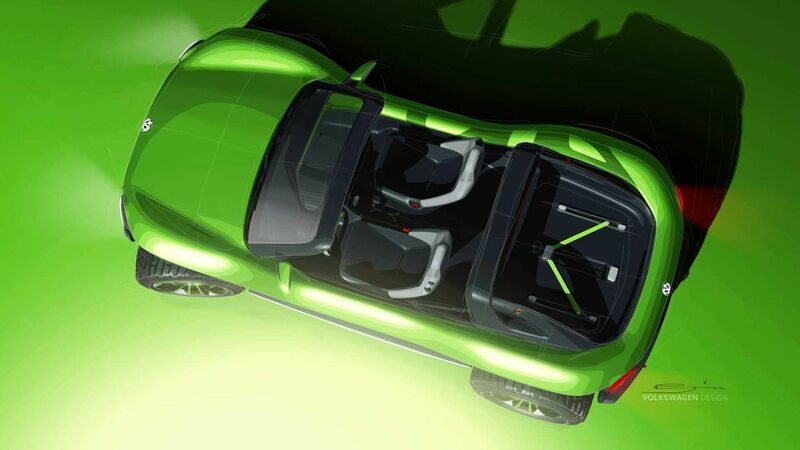 The power is sent to all four wheels via an automatic transmission. 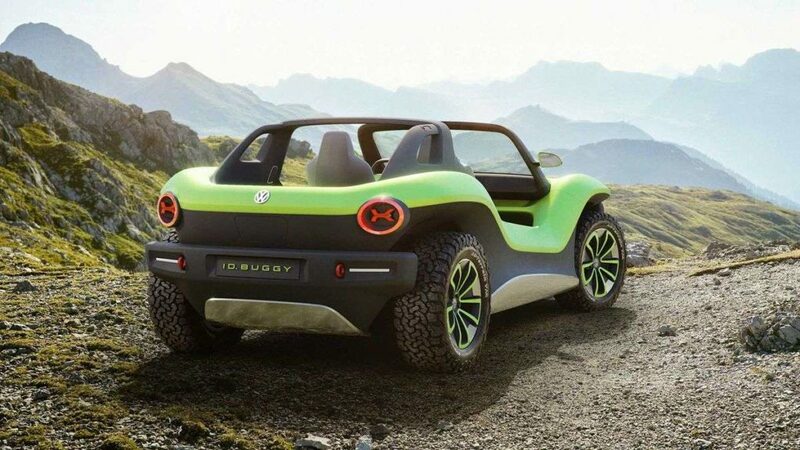 The I.D Buggy concept offers excellent performance as 0-100 kph in just 7.2 sec and it is more powerful than I.D Concept. 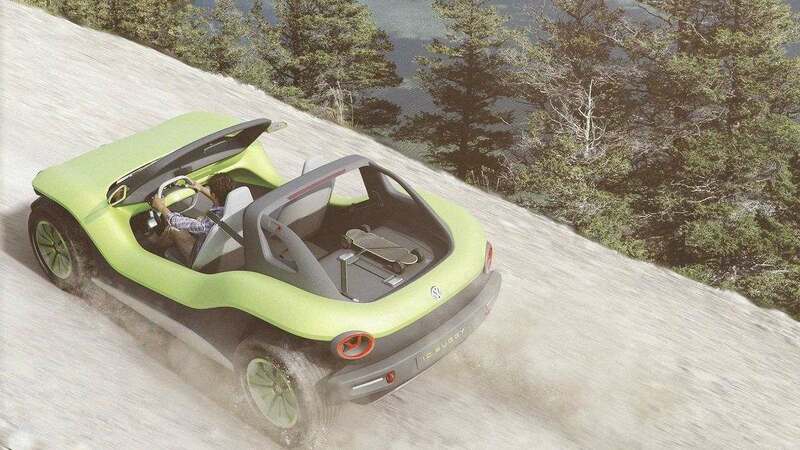 According to VW, the I.D Buggy Concept has 249 km of range, which is lower than other models as this one is focused more towards off-roading.